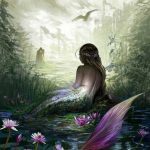 This week the main events include the transit of Jupiter into the sign of Virgo yesterday (here’s a link explaining it’s meaning), Mars, newly transiting through Leo, and a New Moon at 21 degrees of Leo on Friday. 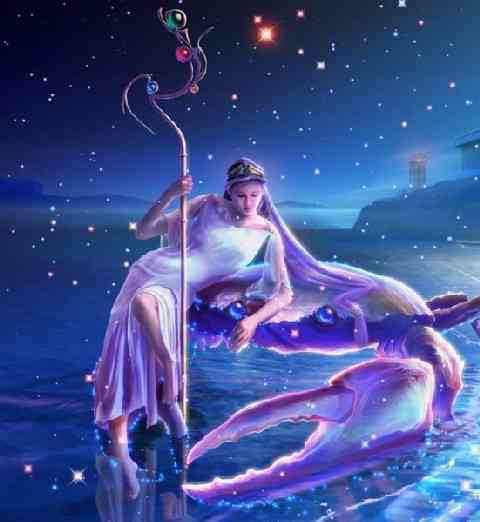 Mercury is now transiting through the analytical sign of Virgo as well. I like the Leo/Virgo combination. It’s incredibly useful if you’re trying to organize your energy in a way that allows you to create exactly the kind of life you want. The universe is essentially handing you the opportunity to begin some new, more targeted effort. For the price of some self-discipline, the willingness to employ new methods – and the rejection of responsibilities that have nothing to do with the kind of life you desire – great strides can be made over the next year and rewards received. On Friday the New Moon in Leo sets the stage for a more self-centered approach to crafting a life of joy. This may involve a personal rebellion of some kind that is extraordinarily effective and much easier than anticipated. Relationships shift onto a new, more supportive track. Talents in need of further development become “front and center” in your mind. 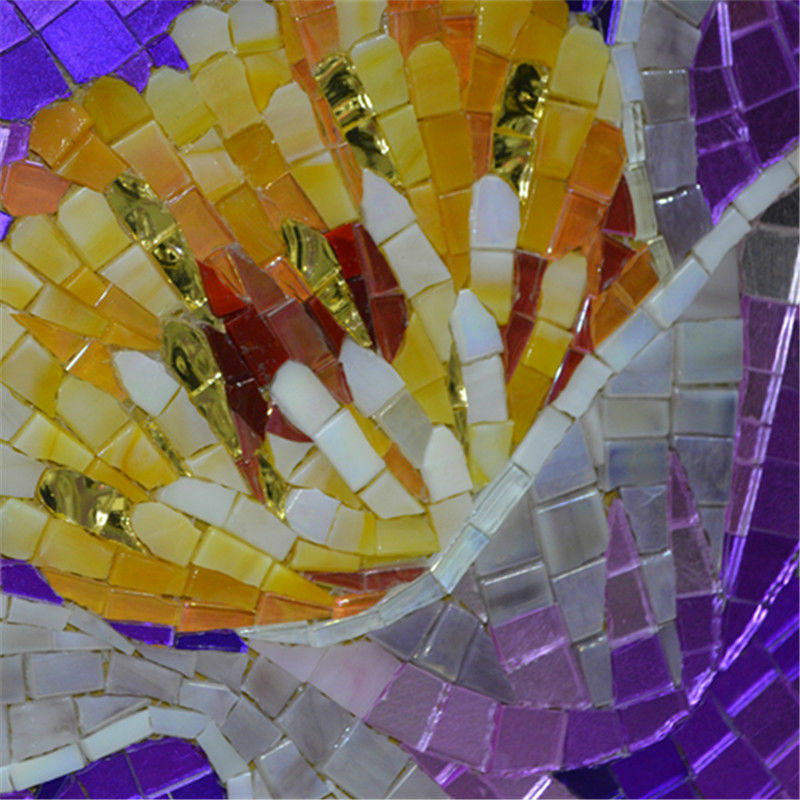 New opportunities to express your most authentic self flow in your direction. The challenge now is to let go of the last remnants of an old way of life that has been disintegrating since the fall of 2012. We’re at the very end of a cycle of loss and regeneration. If there’s anything you’ve failed to address, destroy, release, or throw away, now is the time. Saturn semi-squares Pluto this week which generally represents a dilemma between focusing on current duties and developing a single-minded, ruthless dedication to one’s own goals. Now we may feel that our personal goals need to take on highest priority. All cosmic signs seem to point in that direction. 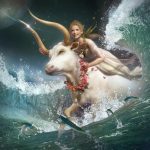 Writing horoscopes can be complicated, but for Aries, this week, it couldn’t be simpler or more straight forward. 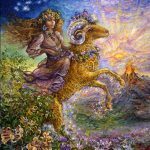 Aries needs to take advantage of every possible opportunity to play, to enjoy yourself, to entertain others, or to simply engage in the fine art of entertaining yourself. Maximizing fun at every turn is advised. Hang out with an exuberant pack of kids, engage in some challenging and enjoyable athletic event, and hang out with the friends you love most. 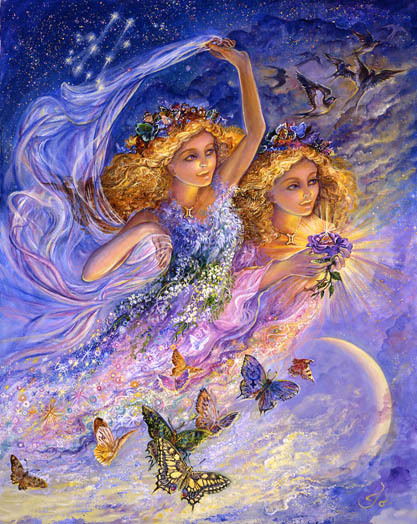 The new Moon rises in your 5th house of creative self expression. Do it to your utmost. You may now be experiencing a new kind of freedom related to your work or your health. You may now have more freedom to pick and choose which responsibilities you want to take on. You may find it not surprising that I’m suggesting that for the next year you take on nothing that doesn’t have the potential to fill your life with joy. 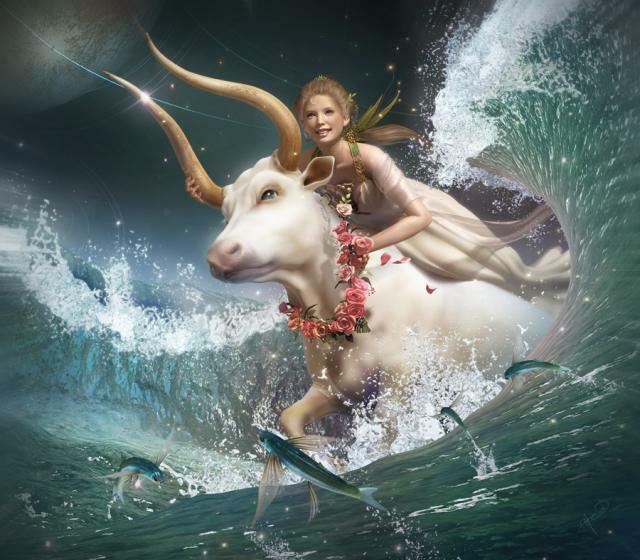 For Taurus, this week, love, the unknown, and new beginnings are emphasized. There is something new, possibly connected to the past (weird I know) that makes itself known. Some new experience, most likely a joyful one, that represents a new beginning unfolds. It may change you in some deeply profound way – in a way that can’t be unchanged. In others words you can never go back to the way you used to be. Again, it all looks very positive. 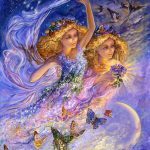 There is some new freedom related to your ability to enjoy your life and this may be related to the breaking of old habits, old routines, and old approaches to creative expression, fun, and entertainment. In fact you may engage in some new forms of entertainment that feel deeply satisfying. You are primed to receive some reward you’ve worked hard for and to find some new kind of work that feels more like play. How can you be of the most use to yourself? One answer would be to consider that you are now relatively free of influences from the past – free of the guilt that used to motivate you to take on responsibilities that weren’t enjoyable. In fact those may have felt confining and more like drudgery. You are also now free to move to a new home, to start a family, to lay a foundation for future success that hasn’t been this easy for at least the past 12 years. To be free of a past that confined you is truly a gift but it is a gift you worked hard for and abundantly deserve. Now you can redefine yourself, free of the old definitions heaped on you by others. No longer is it necessary to believe you’re good at something because someone from the past told you you were – or bad at something because your past made it so. Now you’re free to know yourself, independent of outside or past influences. The new revelations will amaze you. 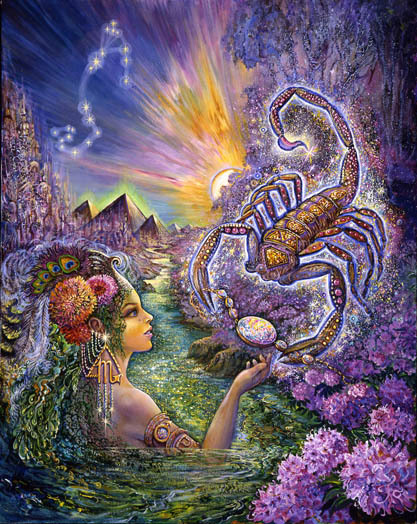 This week Cancer experiences a new thrust in the area of life signified by a valuable inheritance of some kind. The inheritance might not appear at first glance to hold much potential, but, with some work, there are signs that it could be magnificent and provide for you exactly what it is you most need and want. It may be the key to allowing your own happiness and joy to thrive. It is likely that your routine has been freed up in a way that allows you the time to address something that’s been neglected for awhile. Possibly you are gifted with information you’ve needed that has previously been unavailable or more time to work on some personally meaningful project. Maybe you have time to travel or to lay the groundwork for some future expansion. It may all involve paperwork that needs to be completed. Whatever it is it has the potential to open all the right doors for you this year. Leo may be less than satisfied with the nature of their work at the moment. Torn between maintaining a secure life and embracing the kind of work that is a true expression of your highest joy and most authentic self may seem at odds in some way. Now you’re offered a chance to reconcile this dilemma. This may involve a change in beliefs about relationships and responsibility or a “buy in” from a partner. 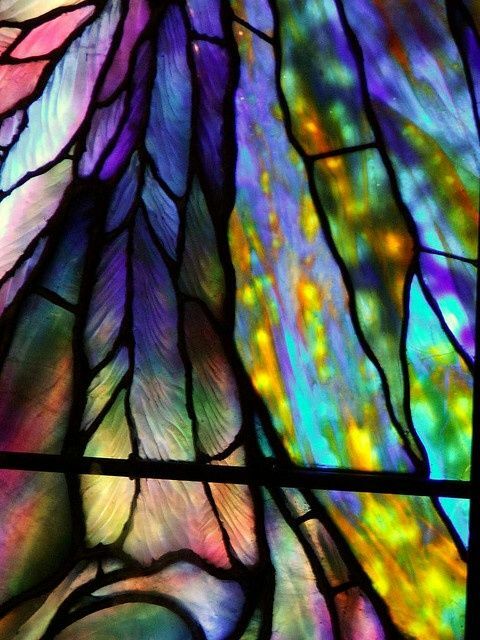 But at its core, the issue involves changing patterns and habits related to some kind of belief that you cannot have both – that if you choose work you love, there will be some great sacrifice involved and if you choose security, you will end up the victim of a less than “joy-filled” life. There is now the possibility that you can have both but it requires a brutally honest assessment of what you actually feel you deserve. 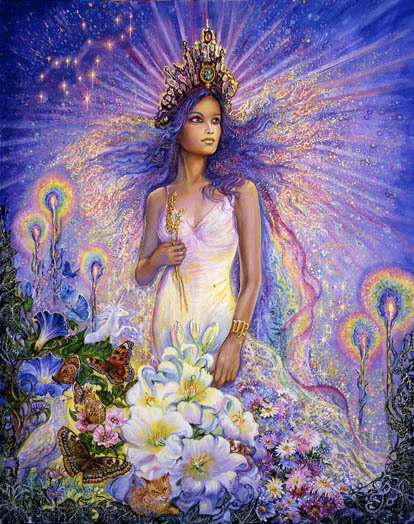 Virgo is about to experience some new kind of personal freedom or reward for past efforts. The degree and size of the reward depends on how willing you’ve been over the past year to face painful truths, tough issues, and to let go of old ways of being that no longer served you well. 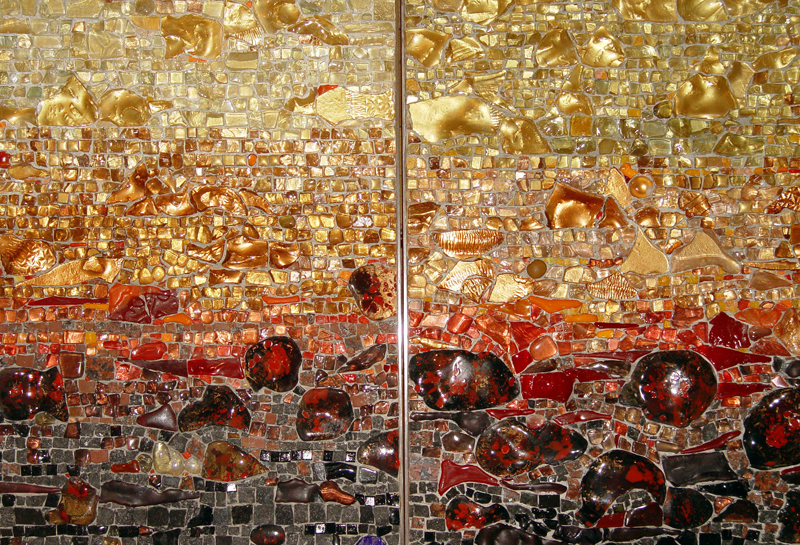 Life may get easier now and Virgo’s challenge is to embrace that. It’s not that there is no longer lots of work to do, it’s just that it’s of a different kind. Now you may experience the freedom to grow your own talents in some way. Free of the need to attend to another’s needs as much, or simply free of some previous confusion, now you discover the real potential that lies within. Taking it a step further you decide what you want to do with it. Hopefully you steer your life away from old methods and habits and try something new. 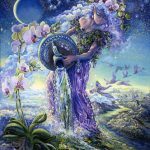 This new Moon may highlight personal talents that have been neglected or hidden for years. 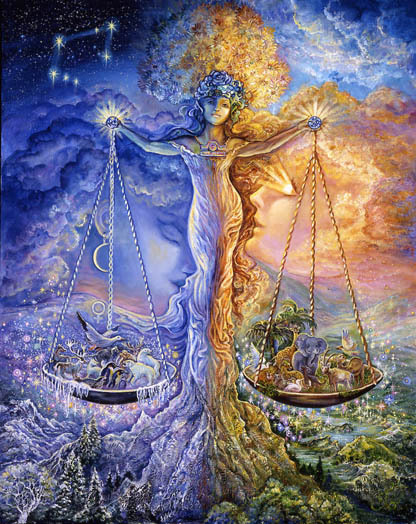 Libra’s goal always, no matter what, is balance. But often they fool themselves into thinking that superficial adjustments and tying themselves in knots to keep the peace represents achievement of that goal. Jupiter’s entrance into your 12th house now requires you to operate on a deeper level and to know, maybe for the first time, what it takes, and what it feels like to achieve the truly sublime sense of balance you crave. Jupiter requires an honest evaluation of your current methods, habits, routines, and the kind of responsibilities you choose to shoulder. Most likely those need to change. For example, if you feel that your responsibility has anything to do with controlling what others think of you, that definitely needs to change. And if your habitual focus is largely on the way things appear rather than their actual substance, that needs to change as well. The New Leo Moon encourages a personal rebellion against the forces that have kept you at a distance from your deeper self and your true source of power. 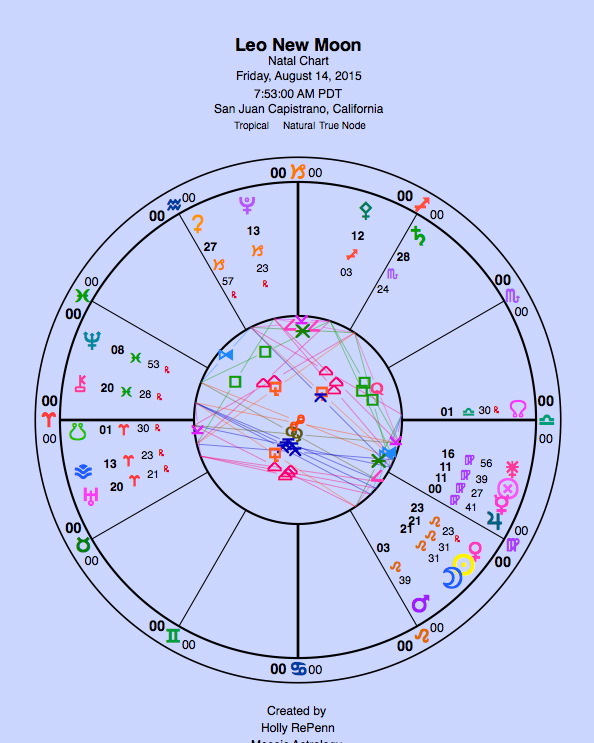 As Jupiter moves into Virgo and your solar 11th house there is new opportunity to work on friendship, humanitarian concerns, and to use your talents and most natural form of expression to promote a more enlightened way of relating to one another. 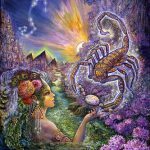 The New Moon in Leo requires that you take on a leadership role in this regard and that you leave behind any personal anger or lack of courage that prevents you from moving forward. If the world is in need of anything now, it is your depth of knowledge and deeply personal connection to the reality that we’re all in this together, that kindness heals, and that taking the first step is a sign of strength not weakness. Ego issues aside, it’s time to operate at a higher level. Your contribution to the world begins with a small step this week but you should not underestimate its potential for unleashing profound and massive change. 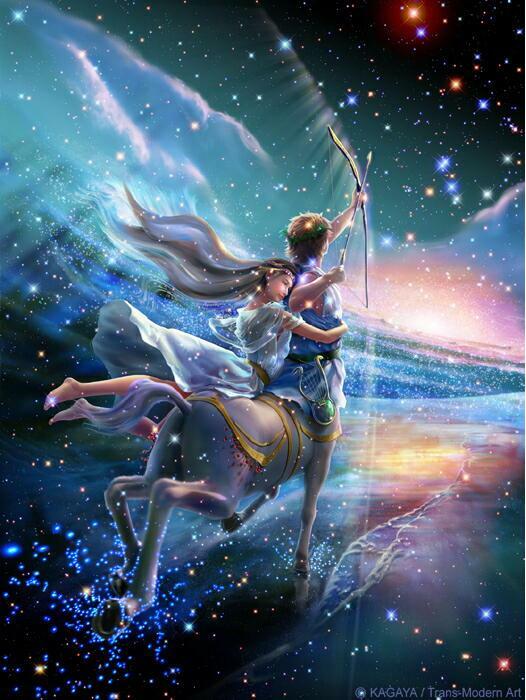 Sagittarius is most profoundly affected by any change in the position of Jupiter as it is their ruling planet. 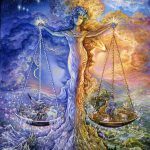 With Jupiter’s move into Virgo, now you are able to express a kind of efficiency and effectiveness that has eluded you forever. 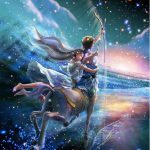 Now you may finally embrace your true and most natural role in the world, and be able to focus to the extent that you are no longer distracted by irrelevant and extraneous “shiny objects.” Finally you have the means to know what you’re aiming for and to achieve it with great precision. 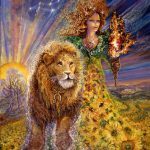 The new Moon in Leo may refocus you on some distant memory of a future aspiration that included a foreign experience, higher education, philosophical or religious leadership, and a life that is basically a rebellion against routine, familiarity, and smallness. Expansion has always been your goal, but now you are able to target the direction in which that expansion needs to occur. Things may be moving too slow now for a Capricorn’s liking. Saturn’s retrograde motion since last spring required a reorganizational focus. Somethings needed to be worked and reworked – not exactly exciting stuff. As of August 1st Saturn began moving in direct motion once again, but it takes awhile for a planet to pick up speed after it changes direction. Things may feel to be at a stand still now but this is very temporary. 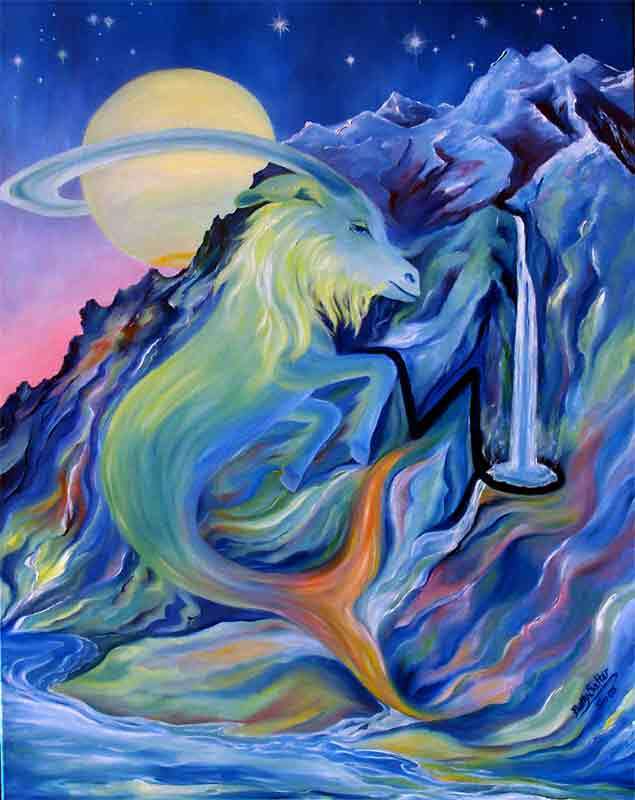 By mid-Septemeber Saturn will have resumed its normal pace and your life will be moving in a more exciting direction. Your future is about to be freed up in ways you never anticipated. Your work is to let go of old habits and methods that presumed a limited future and to embrace what’s most personally meaningful to you going forward. How can you make the best use of the freedom you’re being given is your challenge for the next year. 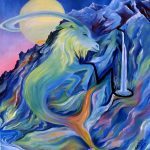 The new Moon requires that you take the lead to initiate something new within a business partnership or to work on something you’ve inherited that has great potential. 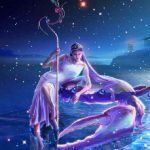 Aquarius, like Capricorn, may be experiencing a temporary slow down in the pace of their life. Know that this is temporary and that things will pick up again mid-September. Now is a time to relax and receive. Now you have time to mull over your goals, the achievements you’ve manifested since the fall of 2012, and where you want to go from here. Some adjustments may be in order. Maybe your goals have changed or the excitement you felt related to the achievement of those goals has been underwhelming. 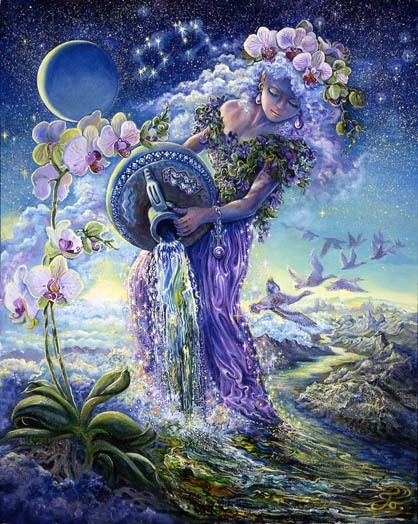 The New Moon signifies a new beginning in how you relate to yourself. That may involve the new freedom you now have to release old habits, routines, and methods you’ve previously relied on. Those centered around preventing yourself from feeling powerless and maintaining self-control. 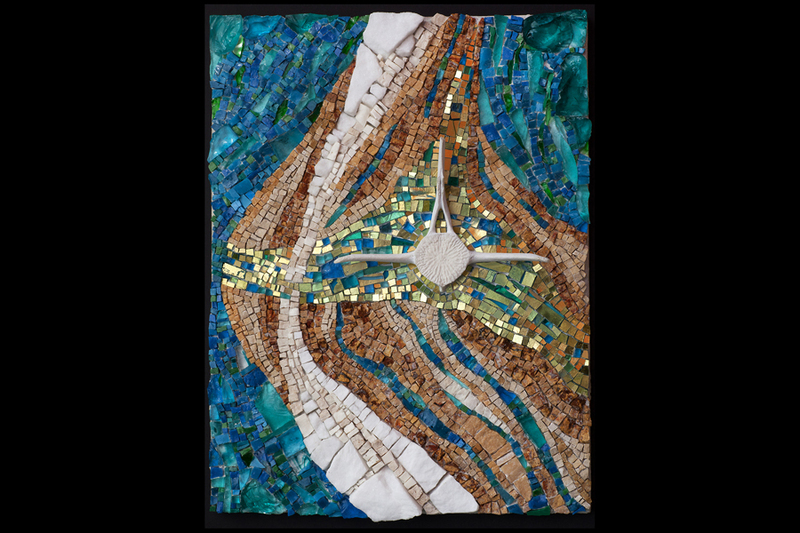 Jupiter in Virgo signifies you’re now free to change. In fact you can change the entire nature of your life goals this year to suit yourself. You’re no longer in danger of falling off the cliff. You’ve already done what you needed to do to prevent that. Pisces feels the shift in Jupiter’s position rather powerfully. It’s now time for a reversal of the meticulous, overwork you’ve done and the methods you’ve always employed to sustain relationships. Where you thought you were wrong, you may have been right on. The area in which you were most brutally criticized for falling short (by yourself or another) may have actually been your greatest strength. Now you begin to realize that. 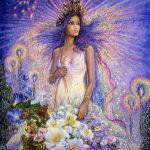 There is a new freedom evolving within the realm of relationships that may require some getting used to. New growth is now possible and a different kind of role is required. 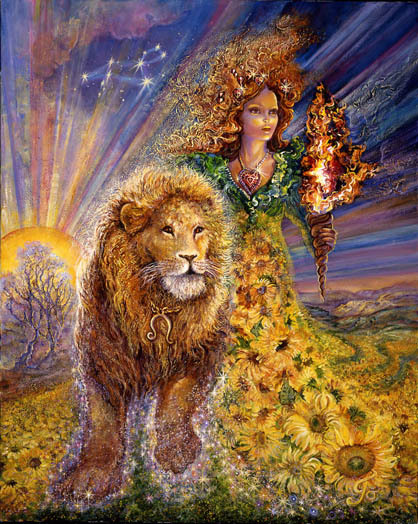 The new Moon in Leo stimulates a new beginning related to health and the kind of work you do. There is a call for a more discriminating attitude toward responsibilities you consider taking on. Only the ones you truly anticipate enjoying should make the cut – or only that ones, that in the overall scheme, have great potential for filling your life with an abundance of joy.